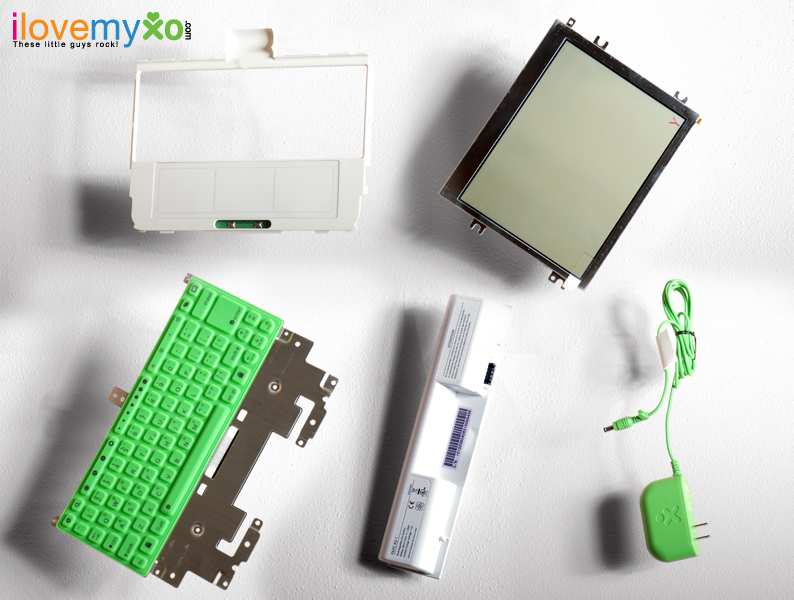 I just got word that the folks over ilovemyxo.com received their first shipment of OLPC XO replacement parts the other day. That means that you will now be able to replace sticky keyboards, non-functioning touchpads and broken displays. Additionally you can order replacement batteries and additional power adapters. At ilovemyxo shipping and handling fees are $2 for the US & Canada and $12 for international orders which I also consider to be very competitive. In case you don't want to follow the excellent instructions on how-to disassemble your XO to repair the XO yourself you can always turn to one of the volunteer repair centers. Currently there are 5 or 6 active repair centers in the United States and in the future we might see even more locations across North America and Europe. Next time when I prepare for a journey I will make sure to order an additional battery or two for those long flights, bus and train rides. And before I organize another olpcnews meetup in Portland, OR I will make sure to have a spare display in case this were to happen again... I should have listened to Wayan when he said: Don't drink and XO test! Ah, well, at least now I'll be able to repair the things I break! Update: XOExplosion now also stocks spare part. It's great that these are finally available, though continuing in the odd fashion of third party distribution. Also, what happened to G1G1(2) ? This is extremely great news for the ones who have defective XO keyboards (like me). Nice. I ordered a replacement for my defective touchpad. TJB, thanks for the heads-up, I have updated the article with the information. I repaired my keyboard just a few days ago with the black tape fix. It was actually pretty easy if you've taken apart a laptop before. "At ilovemyxo shipping and handling fees are $2 for the US & Canada and $12 for international orders which I also consider to be very competitive." $5 shipping is for US ONLY. Canada is "international" at the $12 rate.